Yuzu is well known for its characteristically strong aroma, and the oil from its skin is marketed as a fragrance. Started in early 18th century, soaking in yuzu bath is practised by the Japanese on the winter solstice day. Whole yuzu fruits are floated in the hot water of the bath, sometimes enclosed in a cloth bag in releasing their aroma, or, the yuzu fruit may also be cut in half, allowing the citrus juice to mingle with the bathwater. 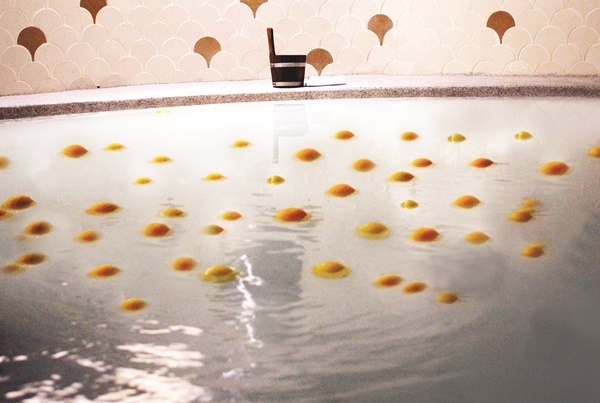 skin become smoother, more radiant and moisturised following the yuzu bath experience. Yunomori Onsen & Spa (Yunomori) is proud to introduce Singapore’s first-ever yuzu bath, which will only be available for a limited time till 31 December 2016! The bath will help busy Singaporeans who work long hours to alleviate body aches and back pains as well as improve blood circulation. 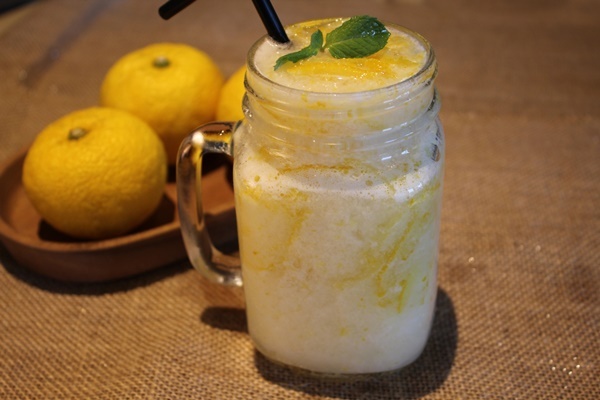 Besides the exquisite onsen bath, Yunomori café will also dole out yuzu-themed mainstays. Do check them out! Yuzu Smoothie ($5.50+), which promises a velvety consistency and rich flavours. 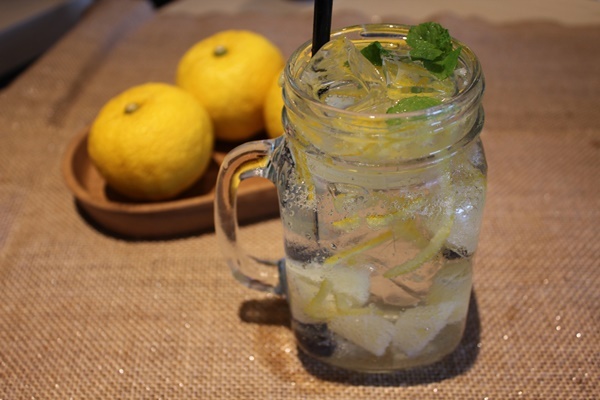 Yuzu Soda ($5+), a refreshing beverage bound to cleanse your palates. 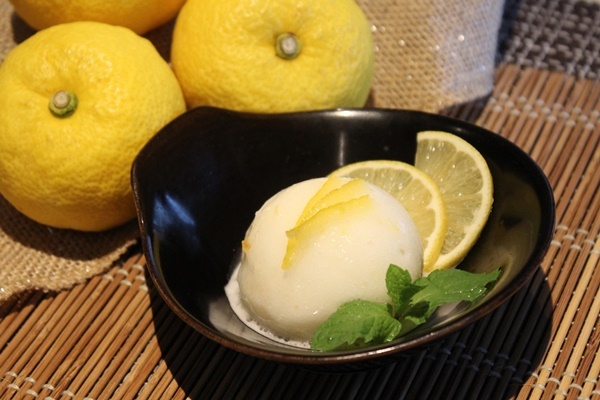 Yuzu Sorbet ($4.50+), a great dessert to combat Singapore’s humid weather. Yuzu Udon ($9.80+), which is served chilled. 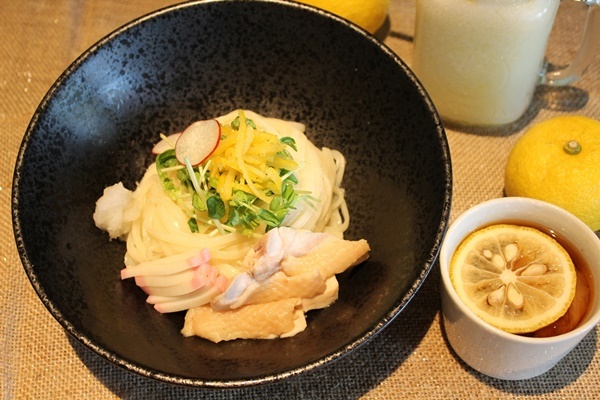 The yuzu lends a tangy note to the plain al dente udon. Due to overwhelming response, 1-for-1 happy hour promotion will be returning from 28 November till 31 December 2016, this is Yunomori’s way of showing appreciation to its supporters. Guests will get to experience the first authentic Japanese Onsen in Singapore at only $19+ per pax instead of the usual price of $38+! The onsen entry pass entitles guests the access to different variations of baths and other facilities such as sauna, steam bath and lounge. Yunomori is the first and only authentic Japanese onsen with the largest variety of pools in Singapore. The onsen provides everything, including locker facilities to yukata, towel, toiletries and other lifestyle amenities. Guests can enjoy different onsen baths, including Soda Bath, Bubble Bath, Jet Bath and Cold Bath. There’s even Steam Room and relaxing lounge area which guests can enjoy all-day at only S$38+! Yunomori guests can choose to add on a good 30 minutes to 90 minutes authentic Thai spa massage therapies at just an additional fee from S$30+ to S$118+. For more information about Yunomori Onsen & Spa, you can visit their website at http://www.yunomorionsen.com. You may also like to follow their Facebook page at https://www.facebook.com/yunomorisingapore to get the latest updates.